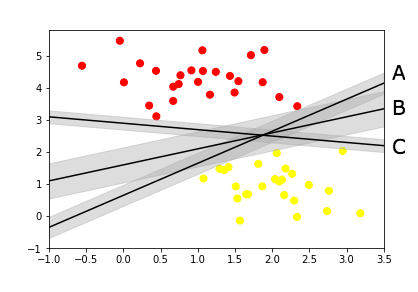 Support Vector machines (SVM) can be used for both classification as well as regression tasks but they are mostly used in classification applications. Some of the real world applications include Face detection, Handwriting detection, Document categorisation, SPAM Filtering, image classification and protein remote homology detection. 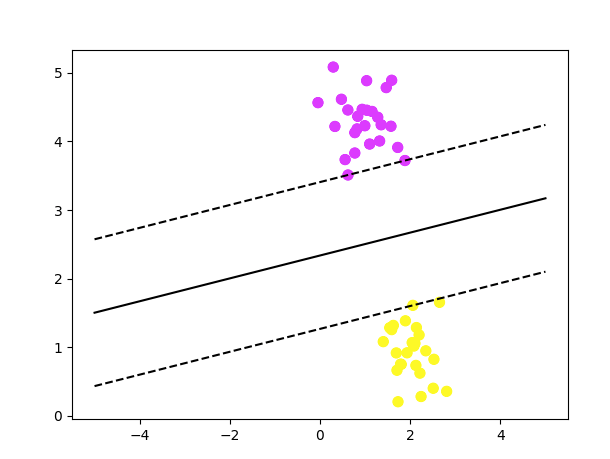 For many researchers, SVM is the first best choice for any classification task because of its efficiency in performing classification on linearly separable as well as non-linear datasets. Take a look at the below image, there are multiple lines dividing the two data sets. 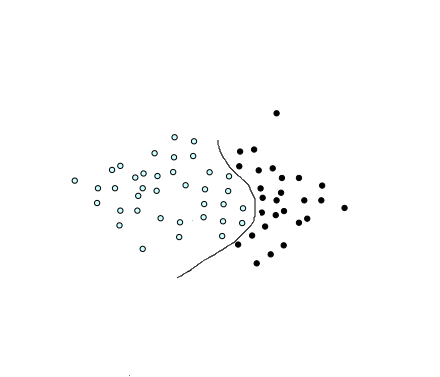 SVM helps us find the one marked B because its the widest divider between the datasets. In the above illustration, you can see two set of dots, blue and black divided by a single line called the Hyperplane. The margin is the widest road separating the two sets. 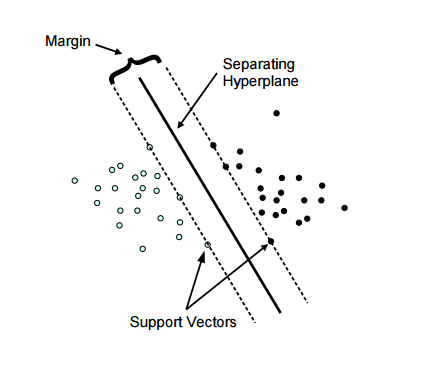 As marked in the diagram there are few data points which touch the highest margin line, these are called our support vectors (the reason why this algorithm is called Support Vector Machine). This is the type we call a non-linear dataset which we usually get for our real world applications. We have to transform these into a form which can be linearly separated. We do that by using functions called kernels. Maths behind finding the hyperplane has been nicely explained here, so I will leave the mathematics part and jump right to the implementation. 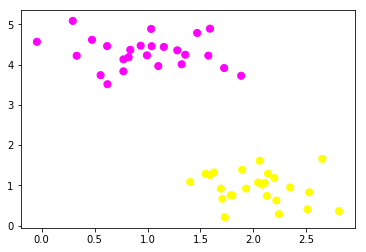 With the basics in place, first lets try SVM on a random dataset which is linearly separable and understand the various parts of this machine learning algorithm. The precision is pretty good. Its 100% accurate for our test data. Now, lets find our hyperplane line and the support vectors and plot them too. 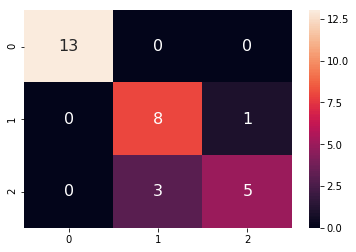 In the above plot, you can see the data set being divided by the most optimal line called the hyperplane and also the support vectors touching the decision boundaries. 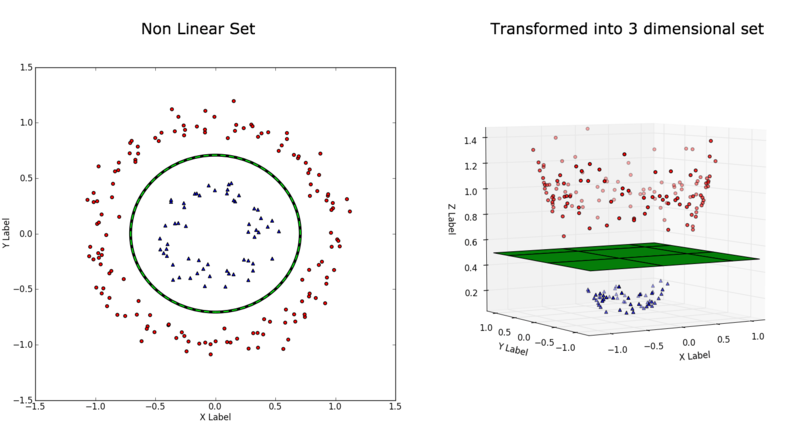 Now, lets try to implement SVM on a real world dataset. 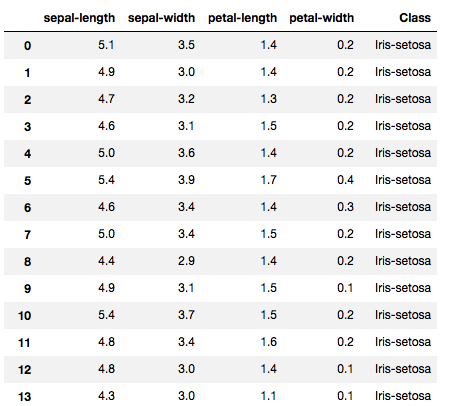 For our analysis we will use the famous Iris dataset which consists of 50 samples from each of three species of Iris (Iris setosa, Iris virginica and Iris versicolor). Four features were measured from each sample: the length and the width of the sepals and petals, in centimetres. Based on the combination of these four features we will be building an SVM model to distinguish the species from each other. A polynomial kernel is about 87% efficient in classifying the correct flower. There isn’t much to change in our program except changing the parameter kernel to ‘rbf’. A Gaussian kernel is about 97% accurate in classification. Amongst the Gaussian kernel and polynomial kernel, we can see that Gaussian kernel prediction was closest to 100% prediction rate while polynomial kernel was lesser. Therefore the Gaussian kernel performed slightly better. You have test all the kernels to identify the one which performs best.